Signs that the European version of the HTC One was about to receive an update to Android 4.2.2 started to be seen at the end of last month. At the end of June, the dual SIM version of the phone, available only in China, received the update. As the current month rolled into its second day, Android 4.2.2 rolled out for the version of the HTC One in Taiwan. Now, as U.S. owners of the phone look on in envious fashion, the rest of Europe has started to receive the OTA update for the phone. Android 4.2.2 adds some new eye candy, like allowing Instagram video to stream onto BlinkFeed. Thankfully, it also eliminates the black bar that marred some Android apps on the phone, and also adds a battery percentage indicator to the status bar. Daydreams adds colorful new animation to the lock screen, and a swipe up from the home page now launches Google Now. There are also some improvements made to the camera and to Zoe. The quick settings feature has been revised and HTC has added a way to share a screenshot, something most recent Android models already allowed. The app drawer and dock have been updated and widgets for the lock screen have been added. Sense also was tinkered with, although it still goes by the same Sense 5.0 title. Since the update did go out OTA, it might take some time before you see it since the update is sent out in waves. You can try to pull it out of your phone by going to Settings > About > Software updates. The update weighs in at a hefty 471MB. As for when we might see this in the U.S., it is anyone's guess at this point. It is all about the carrier testing. The thing that apparently irks HTC One owners in the states the most is that the Samsung Galaxy S4, the handset that is the most direct rival to the HTC One in the country, launched with Android 4.2.2 installed out of the box. The Verizon version of the HTC One, expected to launch sometime this month, will probably come with the updated Android build already pre-installed. still have not check yet, can't wait to update. Pity those who own the HTC One for they will never EVER get a Key Lime Pie upgrade. Says who? Are you from htc? Looks like someone doesn't know HTC's history with phone upgrades. I want to know where all the HTC One fans are at now. They were raving that it's the best phone ever made and HTC will change their ways with their update cycle but to be honest, it's just becoming a flop. i don't regret buying it, but updating to latest is a MUST for flagship phones, and if HTC fails at it, they will keep failing forever ! 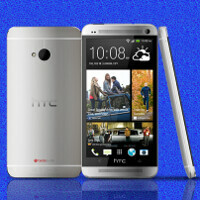 when will htc one X receieve its update? Q1 of 2014 or probably give a bogus excuse stating it'a "not stable." Lol, it'll be September when the last HTC One owners get an OS version that was released a year before. In the meantime, Samsung is all but ready to push 4.3 out just waiting on Google. On the other hand I urge HTC One owners NOT to flash the 4.2.2 ROM just yet and see how does it perform for others in the upcoming weeks. 4.2 seems to be choppier all over Android compared to 4.1. Suxs too own a HTC ? First their crappy ONE S don't get a update then their ONE. U guys should boycott for not buying HTC phones ever. The HTC One S isn't a crappy phone. If you've ever used it in person, you'd know it's smooth, even running on 4.0.4. Their excuse of it not able to run 4.1.1 is BS. They don't want to spend the money to invest in a phone that will later have owners buy from them again. Even Sony was quicker with the xperia z.
I just shutdown my hTc One and use my gnote 2 to check for update and read the comment's here. Happy Holy Day to every 1!